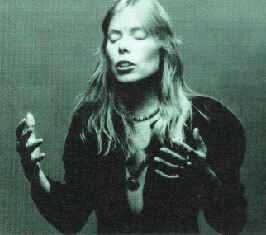 Sisotowbell: A word Joni invented in 1966/67. As she would explain on Philadelphia radio station WMMR in March 1967, she was writing a mythology, the names of its various members derived from acronyms based on descriptive phrases. There were, for instance, a race of miniature women, the Posall ("Perhaps Our Souls Are Little Ladies"), and men, the Mosalm ("Maybe Our Souls Are Little Men"). Siquomb was the queen of the mythology, her name meaning "She Is Queen, undisputedly, Of Mind Beauty." Sisotowbell stood for "Somehow, in spite of troubles, ours will be ever lasting love." "Noah is fixing the pump in the rain." Could that be a reference to Noah's Ark in the Book of Genesis in The Bible?